We love the beach and we wanted a place to make lasting memories for our family. We hope you and your family will make some wonderful memories of your own in our little slice of heaven of in Destin, Florida. We named the house 'These Are The Days' after an 80's song that reminds us that these are days to remember and appreciate. We've been coming to Destin for beach vacations for many years with our family and friends. When we saw what is now 'These Are The Days' we knew it was the perfect home for us. 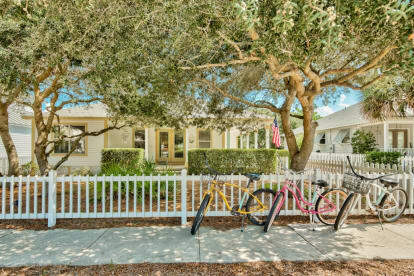 It's steps away from the beautiful beaches, within walking distance of shopping, restaurants, and local activities, but is tucked away in a quiet little beach neighborhood. A true gem!